Listeria is a very common bacterium that adapts well in many environments. Once established in a food production facility, some strains of Listeria can be very difficult to eliminate. This post highlights the most common hideouts for Listeria in food production environments, and offers useful advice on how to optimise environmental Listeria control. Listeria bacteria are very common in the environment and can be found in soil, water, sewage, animal guts and feces, and on raw foods. There are several species of Listeria, but only Listeria monocytogenes is associated with the human foodborne infection listeriosis. People usually contract listeriosis from eating contaminated ready-to-eat foods such as salads, raw fruit and vegetables, sandwiches, deli meats, smoked fish, cooked shellfish, sushi, raw milk, unpasteurised cheese and ice cream. Although infections are very rare, listeriosis is one of the most serious foodborne illnesses humans can contract. Pregnant women, newborns, older adults and people with impaired health are especially vulnerable to infections. Symptoms range from mild flu-like illness to severe blood poisoning and meningitis. Every year about 2,200 people in Europe and 1,600 people in the United States contract listeriosis. Most people are hospitalised, while one in five (20 percent) of those infected will die. Consequently, control of Listeria in ready-to-eat foods and in foods intended for consumption by infants and people with impaired health is strictly required by law, both in Europe and the USA. When to be concerned about Listeria? Because Listeria is common in the environment and can be found in soil, water, animal guts and on raw foods, the bacteria can easily be introduced into and spread throughout food production facilities. Listeria also can form biofilms that help them attach to the surface of floor, drains and equipment – making them more difficult to remove during cleaning, and protecting them from drought, heat and standard cleaning and disinfection chemicals. Listeria biofilm is often the source of food product cross-contamination. Additionally, Listeria can grow in cold environments and can survive freezing temperatures. These conditions are often used to control microbial growth, but for Listeria they serve only to restrict the growth of competitors. This means that refrigerated and frozen foods still are at risk. Most ready-to-eat food processing environments are chilled and provide the nutrients and moisture required for Listeria growth. So, there’s good reason for being concerned about Listeria contamination if you produce ready-to-eat, chilled food. Floors that are made of inappropriate materials or that have been installed poorly can lead to static water pools, water trap points or water absorption. Badly constructed or poorly sealed wall-to-floor or drain-to-floor joints often lead to water becoming trapped, as can poorly maintained and damaged floors with cracks, holes or gaps. All these situations can lead to Listeria colonisation. Consequently, the appropriate selection, installation and maintenance of your production floor are very important with regard to Listeria control. To minimise the spread of Listeria, floors should be kept as dry as possible. Water usage for cleaning and processing should be kept to a minimum and be as contained as possible. Water spills should be removed (through squeegeeing) immediately, and leaks should be fixed as soon as possible. The floors should slope towards your drainage to aid water removal and help prevent pools of standing water. To prevent Listeria contamination spreading between different high-risk areas, these areas should be physically segregated from low-risk areas to restrict water, aerosol, and the movement of people and equipment. Footwear dedicated for use in each area should be used, and food contact equipment should never be placed on the floors, and must be cleaned before re-use if accidently placed or dropped on the floor. If Listeria is present in your food production facility, it will most likely be found in your drains. The reason for this is that drains act as a collection points for most of the Listeria-contaminated water on site, and then provide the nutrients and moisture required for the Listeria to grow. Even though cleaning drains is an unpleasant and complex task, it is critical for Listeria control. Dirty drains can be a source of Listeria contamination, and flooded drains can spread listeria via pools of contaminated water on the floor. Drains should (if possible) only be cleaned during production downtime, and you’ll need to give aerosols time to settle before rinsing and disinfecting your food contact surfaces. Select, install and maintain your drainage systems to eliminate the chances of standing water and water backups. Hygienically designed drainage systems are much easier to clean and maintain, and they minimise the risk of microbial growth. Listeria can be transferred from contaminated floors and drains to other food production areas – and to food itself – in several ways. These include people’s footware, equipment and trolley wheels, and cleaning equipment. The best way to avoid Listeria contamination from your floors and drains is to clean and disinfect them regularly. Remember to clean floor and drains in a way that minimizes contamination of other surfaces in the room. The use of high-pressure hoses or mechanical scrubbing will increase the risk of Listeria aerosolisation, where the bacteria spread through the air into other areas and onto equipment, food, and food contact surfaces. Instead, use dedicated colour-coded manual cleaning tools for floor and drain cleaning. Tools used to clean floors should have a different colour from those used to clean drains and from those used to clean food contact surfaces. Like floors and drains, hard-to-clean areas on and inside food processing equipment can allow for water accumulation and contamination, which can then lead to Listeria colonisation and growth. To minimize the risk, it’s essential to use hygienically designed processing equipment, which is easy to clean and made of suitable food contact-compliant materials. The frequency of cleaning and disinfection should be based on risk assessment, but for equipment used to process chilled ready-to-eat foods, it should probably be at least once a day. Daily cleaning should be supplemented with regular equipment stripdowns and deep cleaning to ensure that areas that are difficult to reach during daily cleaning are controlled. Again, the frequency of deep cleaning should be based on risk assessment. During cleaning and disinfection, pay attention to hard-to-reach areas on the equipment. These are the areas where Listeria might be present, especially if an area is wet. These areas can include poorly drained open equipment frameworks, niches, hollow unsealed rollers, poor welds, spaces inside slicing machines, and areas under covers and guards. Equipment lubricants and moisture traps on compressed air lines also can become a source of Listeria contamination, and should be changed and checked regularly to minimise this risk. Cleaning equipment can be a major source of Listeria contamination – with surveys showing that up to 47 percent of cleaning equipment in food-processing areas test positive for Listeria (Campden BRI, 1990). 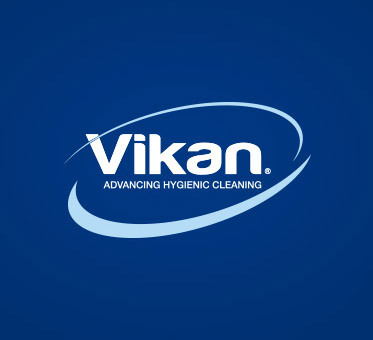 To prevent Listeria contamination, there are two important factors to consider for your cleaning equipment: hygienic design and proper maintenance. from those used for food contact surface cleaning. As mentioned above, Listeria can survive at very low temperatures – even as low as -5 °C. Chillers and freezers are cold and wet, and Listeria faces less competition from other microorganisms in these environments, making them perfect Listeria hideouts. It is essential to keep the evaporation plates and fans in chillers and freezers clean and disinfected at all times. Condensate from cooling systems should be directed to the drains or to drip pans, which should be emptied, cleaned, and disinfected regularly. Never allow products to pass underneath a cooling or freezing system. In many air-handling systems, there also are evaporators that need to be cleaned. Moreover, it is critical to prevent condensation – and subsequent water buildup – in your air-handling systems. I hope you now have an idea of the most common hideouts for Listeria and of how and where you should clean carefully to avoid Listeria contamination of your ready-to-eat food products. If you have any questions regarding Listeria and cleaning, please feel free to contact me – Stine Bislev – at sbi@vikan.com.